TNQ TAFE remote media training is again underway at QRAM training centre in Cairns. Students from over remote Queensland have completed their second one week block training session. 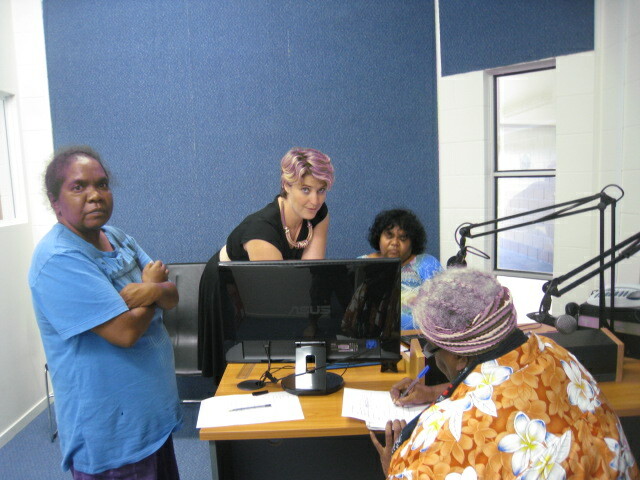 The training in Cairns is well received by the remote students, it gives them a chance to catch up with fellow broadcasters swap ideas, also down time for visiting relatives and of course there is the incentive of shopping in a regional city. .
Juanita Soper has been putting the students through their paces. Juanita is also breakfast announcer on a local Cairns commercial station and her experience in broadcasting is real plus for the students. During this block students have concentrated on developing critical thinking, developing techniques for presenting information, presenting radio programs, audio sound, audio recording, sound audio and editing skills on Adobe, interviewing skills, script writing and programming for network. Juanita’s patience style and cultural awareness of the learning difficulties has bought a new approach to the TNQ TAFE media training and follows in the footsteps of legendary broadcaster and original lecturer “Locco” Mike O’lochlan. Gerry Pyne from Broadsoft has been on hand putting students through the basics of Simian and Adobe, Shane Gibson was also on hand to assist with technical support, equipment maintenance and network assistance. 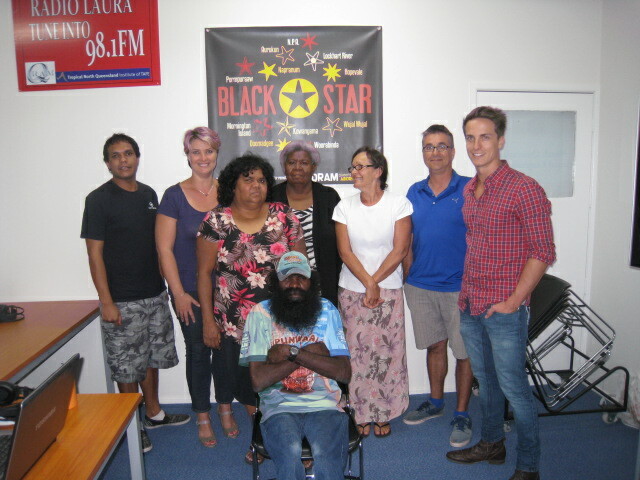 The next block of training commences on the 13th of May, this will be followed up by a forum of all Black Star network broadcasters in Cairns in mid June. The June forum will focus on network programming, local news reporting, preparing for programs for VAST satellite and the transitioning of programs on VAST across the network. Our thanks to the Indigenous Broadcasting Program for the funding for the forum. The forum will be facilitated by AFTRS and has already attracted a lot of interest from the broadcasters.